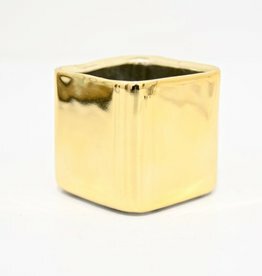 A modern cubist statement peice, in a gold leaf finish, creating a rustic finish. This piece is great for an office space, book shelf, or coffee table. A stylish golden pineapple too keep your counters undamaged from hot cookware.